Welcome to Fred's Carpet... Trust, Loyalty, and Excellance since 1959! The Natural Collection, all the natural richness of wood. A look of purity for a naturally timeless classic. The Flair Collection, the natural grace and character of wood. Subtle earth surface in harmony with the matte surface. The Sweet Memories Collection, a floor with character. Our exclusive staining and brushing processes create floors with all the charms of yesteryear. Variations, knots, cracks, and other natural characteristics give this collection an authentic appearance. The Exotic Collection, stunning wood from around the world. Hues and tint that fascinate without fail. A cachet of exotic richness that will set you apart. The Admiration Collection, trendy colors for a unique ambiance. Rich wood combined with the color of creativity. The Herringbone Collection, different shapes that create unusual patterns. Equal lengths to make symmetry come to life. You must be proud of your floor from every angle. You must have peace of mind for years to come. Only a superior quality product can give you this satisfaction. 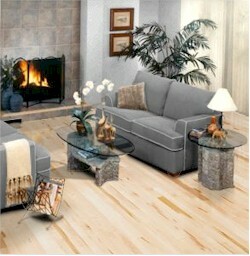 To evaluate the quality of a floor, you must look further than its general appearance. Even the smallest detail must be taken into consideration. Every step counts! The way the wood has been dried at the outset will have an impact on the stability of the strips once they are installed; the constant precision in the sanding process insures the finish surface will be smooth and uniform; and so on.